Another portfolio-related piece. 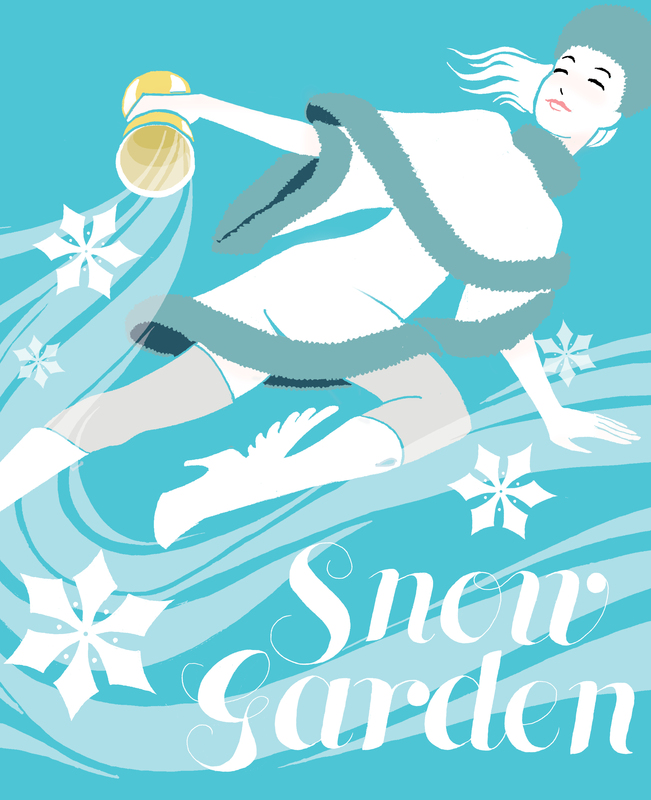 This was to be the poster for a vinyl record set I designed for a fictitious music group called Snow Garden. The girl is loosely based on Snegurochka, the snow maiden of Russian folklore. I’m not sure if she normally dumps wintery wind out of a cup, but it works quite nicely for the ambience.